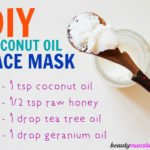 DIY Coconut Oil Face Scrub for Gentle Exfoliation & Smooth Skin - beautymunsta - free natural beauty hacks and more! 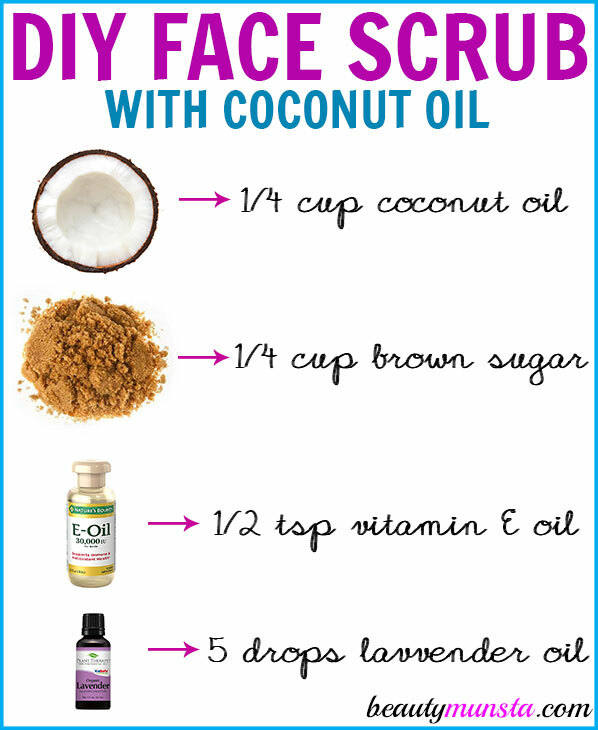 Gently exfoliate your skin using this DIY coconut oil face scrub! 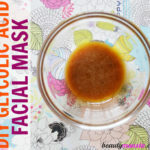 It will leave your skin looking smooth and glowing! Flaky dry skin on the face is so not attractive. Thankfully, you can whip up this DIY coconut oil face scrub in just a few seconds! Coconut oil is very moisturizing for skin. 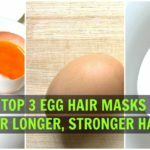 What’s even more unique about it is that it contains medium chain triglycerides (MCTs) that have small molecular structures which makes them easily able to penetrate into the skin. So coconut oil penetrates deep into the skin cells and nourishes & moisturizes them. Brown sugar – This type of sugar has a gentle abrasive texture that gently sloughs off dead cells and impurities from skin. It is excellent for the sensitive facial skin. Lavender essential oil – Best known for its skin soothing properties, lavender oil reduces inflammation and calms sensitive skin. It also keeps skin moisturized and free from germs. Vitamin E oil – Vitamin E is the ‘beauty’ vitamin. It heals blemishes, moisturizes skin and protects it from free radicals that cause premature aging. Vitamin E is a powerful antioxidant that helps prolong the shelf life of this DIY coconut oil face scrub! Into your plastic storage container, add the brown sugar. Next add the creamy coconut oil or fractionated coconut oil and vitamin e oil. 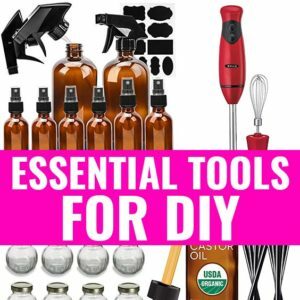 Mix everything together then add the lavender essential oil and stir again. That’s it! 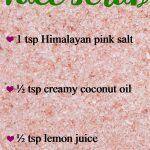 Your DIY coconut oil face scrub is ready! Store in a cool dry place. 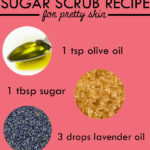 To use, place a ½ – 1 tsp on your clean fingers and gently scrub it on your wet face for a minute. Rinse off and pat your face dry. Moisturize if needed.